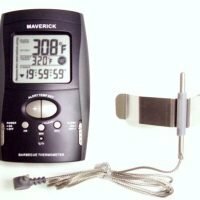 A digital meat thermometer fork is great for the novice griller, I used one of these for years when I first started out. 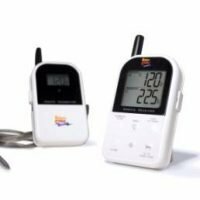 A digital meat thermometer fork is a 2 in 1 grilling tool that is great for flipping as well as taking accurate food temps. 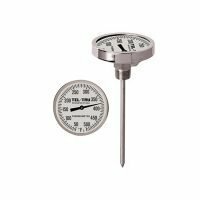 The digital meat thermometer fork is easy to use, simple to read and turns a two-step process and turns it into a single step. In my opinion grilling forks get a bad rap, if your meat is properly seared puncturing it with a fork or thermometer will not make that much of a difference. The digital meat thermometer fork Bar-b fork for grilling by Maverick is programmed with 6 different temperature settings. 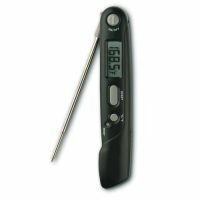 The heavy-duty stainless steel tips of this thermometer fork easily wipe clean, while the LCD display is backlight for easy reading and easily turns on with the push of a button. 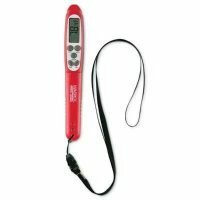 This Digital Meat Thermometer Fork is 13.75 inches long and runs on 2 AAA batteries that are included. 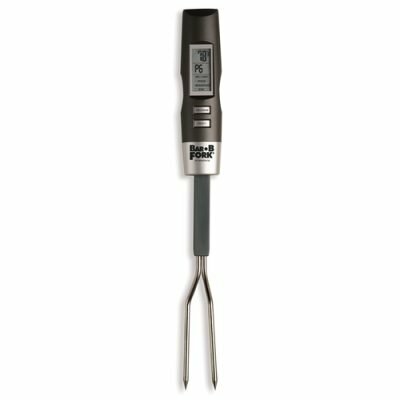 Here is a link to the Digital Meat Thermometer Fork Bar-B-Fork instruction manual. Using this digital meat thermometer fork is a simple as pushing the on button and sticking it into your meat. The display will show you the internal temperature of your food in just a few seconds. If you need a reference there is a temperature chart printed on the back of the thermometer, or you can print out this page. This particular thermometer fork has 6 pre-set temperature levels that can sound an alarm if you want. You would have to read the instructions for that, and who does that anyway? 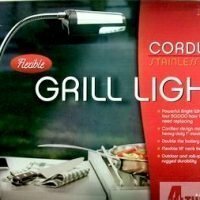 A good grilling tool for a novice. You can find better grilling forks out there and better thermometers. This is a great tool that a good job with both.